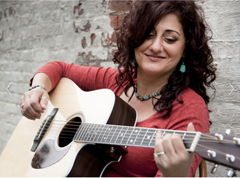 Carla Springer is a Hudson Valley folk rock singer-songwriter. Her passionate original songs about love, life, death and nature are told through a powerful voice often described as a mix between Joni Mitchell, Bonnie Raitt and Janis Joplin. Her debut album, “There’s Still Time,” is available on all major online retailers.